BLINDSIDE OHER TO RAVENS OHER: “Get Over It”! | "IT'S A STEELERS WORLD"! BLINDSIDE OHER TO RAVENS OHER: “Get Over It”! Leave it to a Baltimore Ravens player to complain about something that basically made him a household name. 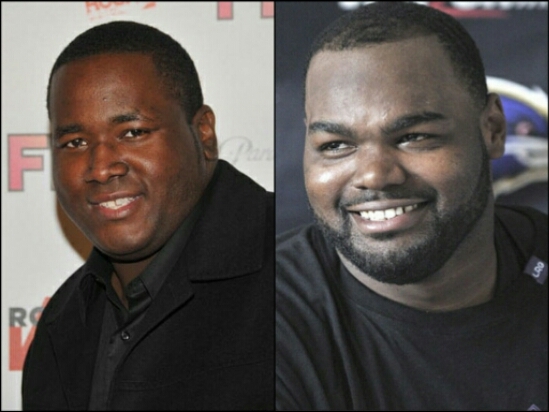 TMZ reports that Quinton Aaron, the actor who played NFL star Michael Oher in, ‘The Blind Side’ says he understands why Oher would have beef with the movie, but says at the end of the day Michael should just “GET OVER IT”! Umm, last I checked a movie cannot control the way you play the game of football, Oher..unless you let it. That’s a sign of a weak mind. Now Aaron has responded saying he understands where Oher is coming from, but says the positives that came out of that movie far outweigh the negatives. I have to agree with that. In addition, movies based on true stories usually are not produced without the word given from those parties involved..so what are you mad about. Not to mention, I’m sure you received a healthy cut of the profits as well. “You gotta at some point notice the amount of people’s lives this movie has touched in a positive, encouraging and inspiring manner”, Aaron said. You’re a much bigger man than me, Quinton..both literally and figuratively. Because all you did was play the role in a movie that I actually enjoyed. Taking the backlash from something you had no control over. Kudos. To Michael Oher, ‘Grow Up’! And quit complaining about being rich and famous.